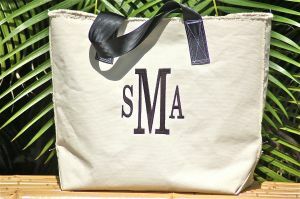 The Cole bag can be used in the City or at the beach! It's raw edged top and large stitches gives it a rustic yet urban look. Black handles for the City and Lime handles for the Islands! So many choices you'll probably get confused and end up calling me! Two sizes - Medium & Large.